I remember opening up my presents and finally getting to this big rectangular box. I ripped through the paper and I knew that I was in for a great day. 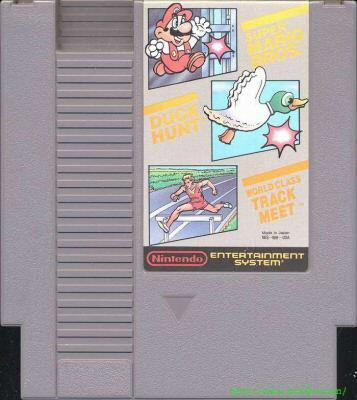 I had just received an NES with Super Mario Bros/Duck Hunt/World Class Track Meet, along with the zapper and power pad. Even though there were 3 games available, I just wanted to play 1. I waited patiently as my dad hooked it up to the tv and turned our oldschool wood paneled tv to channel 3. Once the power was turned on I was hooked. With me and my brother glued to the screen we played our first game of Super Mario Bros. I must admit that first goomba destroyed me. Possibly the 2nd one too, but I kept at it and slowly I kept winning the stages until I met Bowser. At that time he went by King Koopa, and he scared the crap out of me. 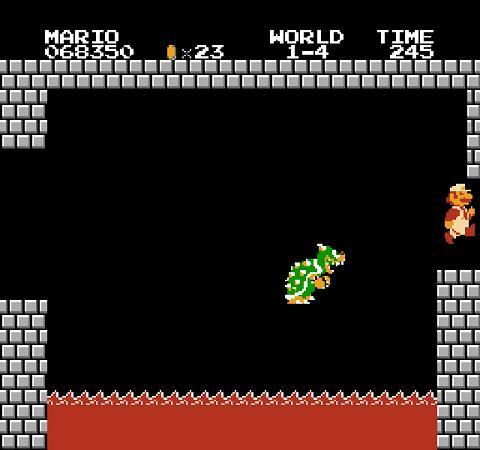 I ran and jumped over him to send him into the lava pit below only to find out what is not a spoiler to anyone on this planet, our princess was in another castle. Once I started to get the hang of the controls it was one of the most fun experiences I ever had and it marked the first time in my life that I was playing a video game. I have been hooked to them since, but that moment will always be with me. I can go on and on about how great the gameplay is, how revolutionary the stage layout was, all the games secrets, powerups, and everything else that has been discussed a thousand times, but nothing else really needs to be said about it. Super Mario Bros is a landmark game in my life. It opened up the whole gaming world to me. 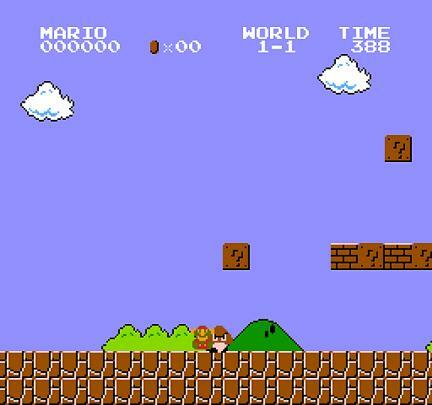 I have been playing video games for over 20 years now, and every time I start up a new game of Super Mario Bros, I still get that warm feeling I did that Christmas morning. I will not be trying to imitate AVGN or anything like that. Rather, this is just me, writing about my viewpoints on certain games and what they mean to me. My first review, while cliché, is the beginning for me. It will be about my first experience with the NES and Super Mario Bros. I know that SMB has been done to death, but my everyone has their own story about their first time playing this game.